The disposal of electronics is the fastest-growing part of the world’s trash problem, with more than 100 million computers, monitors, and TV’s becoming obsolete annually. 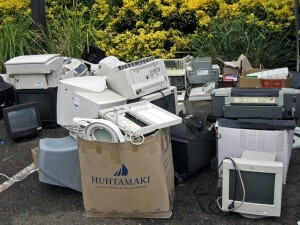 Every day, individuals and organizations around the globe dispose of mountains of Electronic Scrap, containing hazardous and toxic materials that pose significant environmental risks: CRT monitors with toxic lead oxide can leach into the ground water; PC-related components & batteries with chromium, nickel, zinc, mercury and other heavy metals; and plastic equipment housings that can release dangerous gases if incinerated. Dumping your organization’s end-of-life equipment in the dumpster is simply not an option anymore. De-manufacturing and legitimate recycling, utilizing a certified electronics recycler is the only way to ensure compliance with the hundreds of state, federal, and global E-Scrap laws currently on the books. Federal legislation governing electronics recycling includes: the Resource Conservation and Recovery Act (RCRA), Comprehensive Environmental Response, Compensation and Liability Act (CERCLA), and Superfund Amendments and Reauthorization Act (SARA). These laws specify procedures and reporting requirements for any US organization that recycles as little as 220 pounds of E-Scrap per month. The penalties for improper recycling or inadequate reporting can be severe and can lead up to $32,500 per day. Alternatives like donation or employee purchase carry a very significant risk, because the liability for environmental hazards may fall back on the originating party with penalties applied against all involved parties, and sensitive information may be leaked as well. 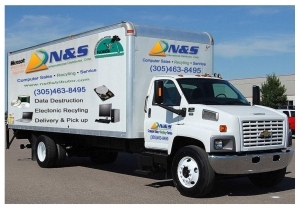 Partnering with an experienced electronics recycler like NSID Asset Recovery Solutions that is truly committed to proper procedures is the best and safest way to serve the public interest and protect your organization from state, federal and established International penalties, and keep your confidential information secure. Because re-use is the most environmentally-friendly form of recycling, all equipment received by NSID Asset Recovery Solutions is audited by our trained technicians to discern remaining value for refurbishment or remarketing (unless client requests otherwise). If re-marketable value exists, NSID will purchase the equipment at Fair Market Value pricing. Following completion of each project, NSID Asset Recovery Solutions provides a Certificate of Recycling for the client’s indemnification against misuse of the equipment while in NSID’s possession, with hard copy of receiving report denoting each serialized asset handled. 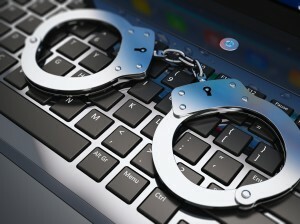 We make sure all your equipment is handled properly, and all your sensitive data is secure. Ready to start? Contact us to get a quote by clicking the button below. 5 minutes is all it takes!